Join GayRealtyNet.com and Start Receiving Referrals! 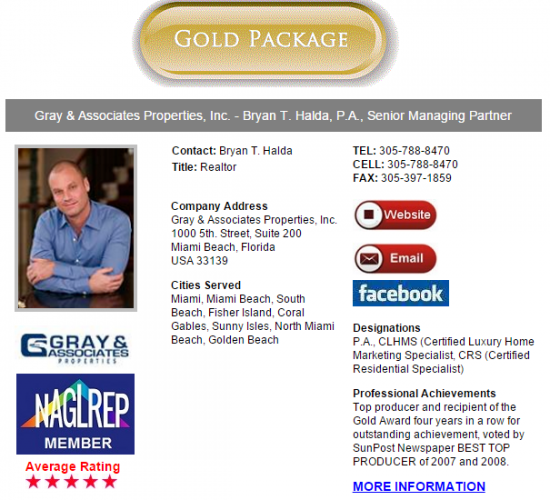 Established in 2004, GayRealtyNet.com has procured Billions of Dollars in sales for member agents and we Never charge a referral fee. Join now and see why 95% of agents renew each year! “THANKS gayrealtynet.com!” I’ve been a member of your website for just a few months, and I’ve already received one solid seller lead which resulted in not only a fast sale for my client, but a great friendship too. I have a buyer coming in to see me this coming weekend, and he also found me through your site. I couldn’t say enough great things about it! Keep up the great work, and here’s to a profitable year! The site works! Since joining GayRealtyNet.com in August 2006, I have experienced on average 2-3 closings per year from my marketing with your website. Keep up the great work. I joined GayRealtyNet.com in December of 2007. 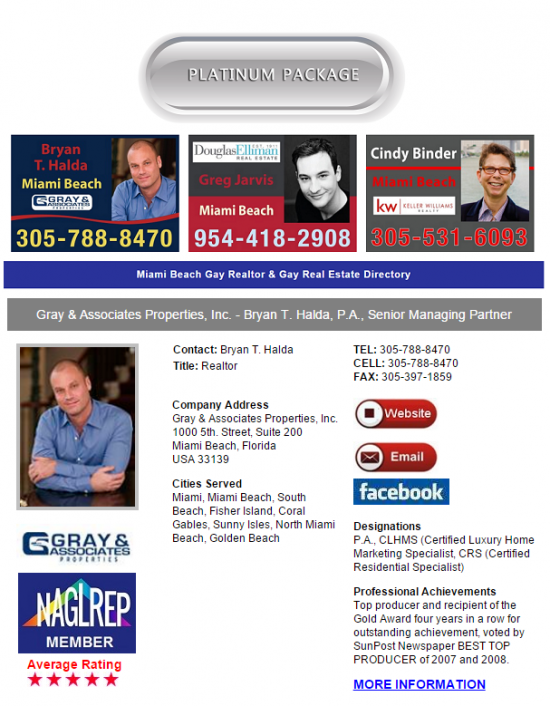 I market on most of the gay and lesbian real estate sites, and GayRealtyNet.com is the site I got the majority of my LGBT referrals from in 2007-2015. Thank you, and best wishes for the new year! Select Gold or Platinum membership to add your member profile in 16 cities for search. The Platinum upgrade includes your billboard at the top of your state and city pages. All ads rotate offering each member their fair share! Begin by selecting your member level below. After your order is approved you will be forwarded to our thank you page including a link to our user friendly profile builder. If you request a Platinum Upgrade, our graphic designer will email to within 1 business day confirming the upgrade live. How did you hear about GayRealtyNet? *The first year introductory membership rate for Gold membership is $149 and the annual renewal rate for Gold membership is $249. The 1st year introductory rate for Platinum membership is $299 and the annual renewal rate for Platinum membership is $399. *All membership dues will automatically renew at the above schedule upon expiration unless you notify GayRealtyNet.com in writing to cancel before expiration. *To cancel any membership renewal before expiration, simply email to gayrealtynet@gmail.com and include a letter of cancellation. Cancellation letters of membership must include your name, and state. GayRealtyNet.com will reply to your email in writing confirming your membership will not renew. *All membership sales are final. *The charge will appear on your credit card billing statement as "SUBURBAN MARKETING". By submitting your membership, you agree to the terms and conditions.